Plain white cotton covers are usually the most cost effective option, and chairs can be accessorised with coloured sashes in organza or taffeta to match with your selected colour scheme. The majority of companies that hire out wedding chair covers will have a plain white cover that fits most standard stacking chairs. For a more luxurious look to your reception, satin wrap chair covers offer the ultimate in elegance and sophistication. They are available in a wide range of colours, so there may be a wrap to match your colour scheme which means you won’t need to hire separate chair sashes. Although they are the most expensive choice, satin wrap chair covers are very versatile as they will fit almost any chair, including high backed chairs. A compromise between the two can be found by hiring chair covers in a heavier, patterned or textured material such as damask. It is usually more expensive to hire than a basic cover, but if it fits properly, it really is worth paying extra as it looks very stylish. This will cover the chair better than a basic white cotton cover, but be careful with this type of fabric as it is has less stretch and so may not fit over the particular chairs at your venue. If you have hired a wedding decorator to arrange your linen and reception decorations, they should offer wedding chair covers and sashes as part of their services. Equally if your venue is often used for weddings or other high class functions, they are likely to have a range of simple wedding chair covers, probably in plain white, which you can use as part of their overall service. 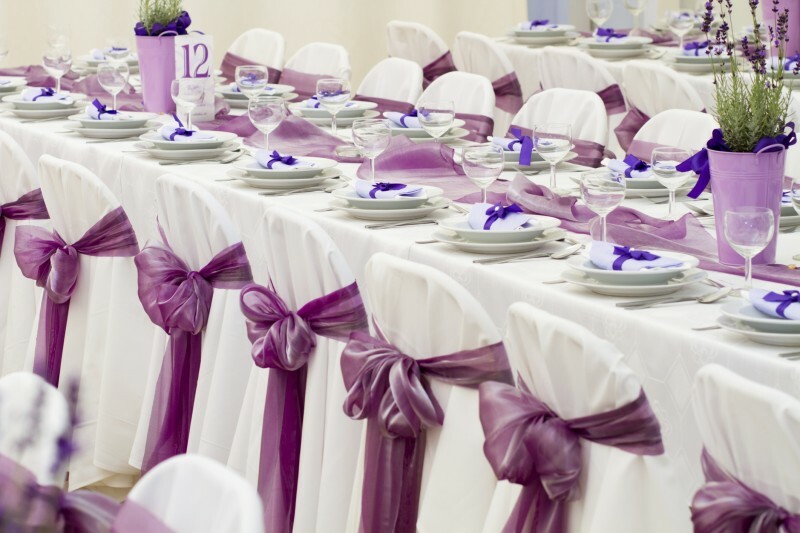 Check the quality and condition of the covers, and if you are satisfied, you may only need to hire accessories such as wedding chair sashes to match your colour scheme. If you are hiring chair covers yourself be sure to get the right measurements of the wedding chairs from your venue; you don’t want your vision of beautiful wedding chairs spoilt by poorly fitting covers. 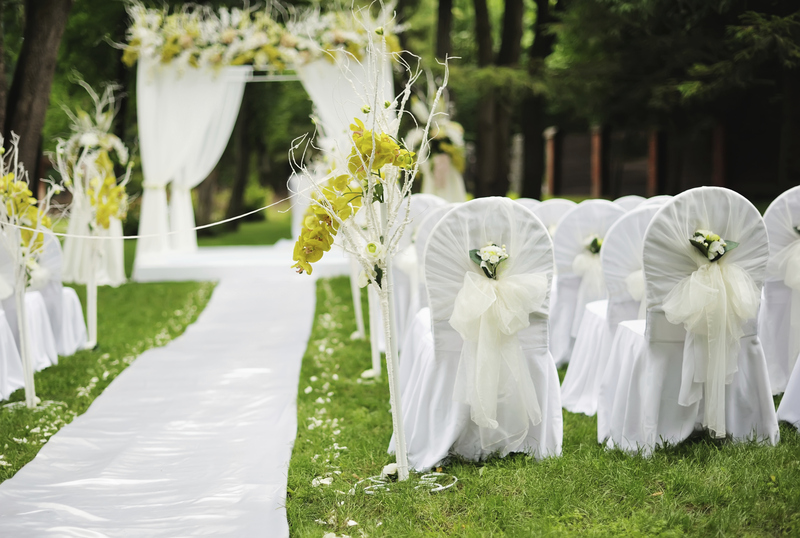 When you hire wedding chair covers independently, you will have to pay an extra fee per cover if you want someone to come and actually fit them on the chairs. If you have someone to do this for you, or the staff at the venue are willing to do it, the rental cost can be greatly reduced, but you may not get such a professional effect. When you obtain a quote for wedding chair cover rental, enquire whether fitting is included or not. Some companies require you to hire a minimum number of chair covers before they will consent to have someone fit them on your behalf.